Welcome to the new Salon Savvy- Your Premium Salon Business Education! Stay tuned for more updates in the very near future! You can say Sydniiee Oliveira has a flair for the dramatic, and there’s a good reason. “I became a stylist kind of naturally from working in hair and makeup for theatre.” The Visalia, CA, stylist conjures up custom formulas and has her selfies down to an art, showing off her own fantastic transformations—think blood-red colored contacts and impeccable makeup to match—plus, her hair has us double-tapping nonstop! Sydniiee loved creating looks for the stage when she was working in theatre. “It just flowed over into actually making a career of it!” Now, her looks are gracing more even more stages. You can currently find her touring the country doing hair and makeup for rock goddess Ann Wilson of Heart! Her tips to stylists starting out online? Use hashtags to engage with your audience, but be sure to stay true to yourself. Whether she’s online or backstage, Sydniiee keeps it real. For her, it’s all about being yourself. What 3 tips does Sydniiee have for up and coming stylists? 1. Learn from everyone. The good, the bad, the weird. Everything and everyone has a lesson to teach you when you’re new. Take advantage of it. 2. Don’t be afraid to fail. Some of my most brilliant outcomes only happened because I messed up first and figured out how to fix it. 3. Be YOU. There are so many kinds of hairdressers that you can pull inspo from, but it’s so important to be your own person and stylist. Others (clients and stylists) will love you for it and appreciate you way more. Just be authentic. Redbull! It’s seriously my life blood, haha! Learn the rules like a professional, then break them like an artist. I try to never feel guilty about anything that I enjoy, haha! EIMI Glam Mist and Sugar Lift are a tie! I love them! Big, shiny hair! Who doesn’t love that!? 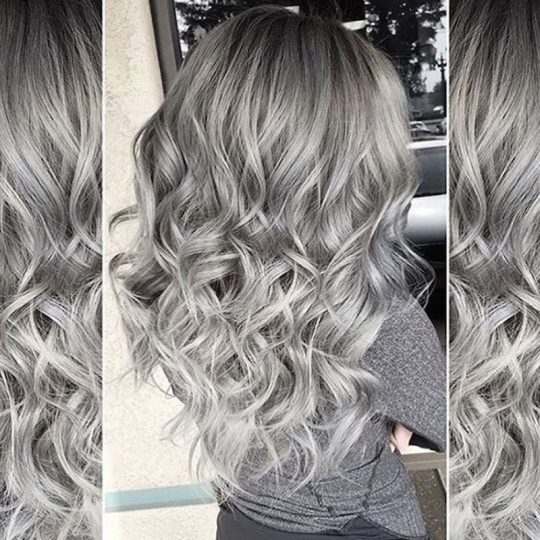 I’m really loving that people are starting to embrace fantasy shades. When my blonde girlies feel like getting a little rebellious with some baby pink or lavender in their hair, I live for that! Dead. I literally could not see myself doing anything else. This is my life! 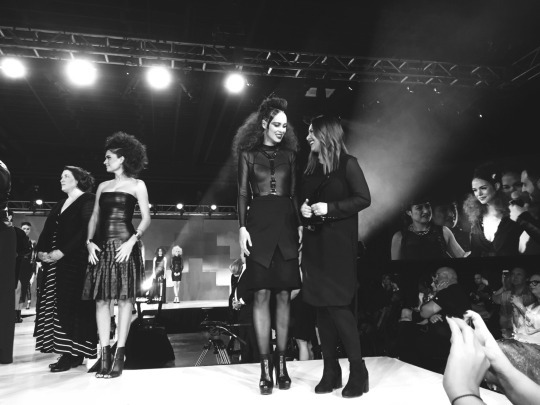 Hey #wellafamily – did you catch #WhatsNext? 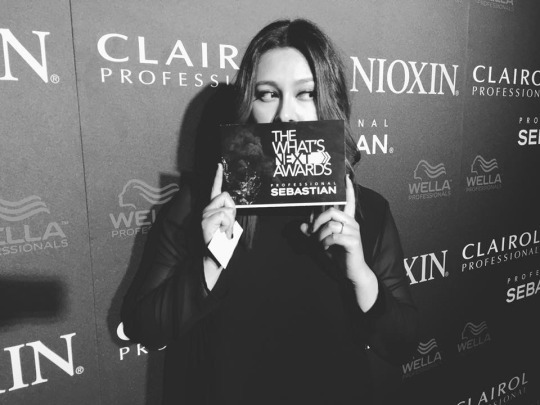 The 5th annual Sebastian What’s Next Awards were LIVE last Sunday - and fierce would be an understatement. Damaris Earlewine - past winner and present judge - is here to give you the inside scoop on what it takes. So you may ask, how do you become What’s Next? Well, for one, you’ve got to take a risk. One of the best parts? 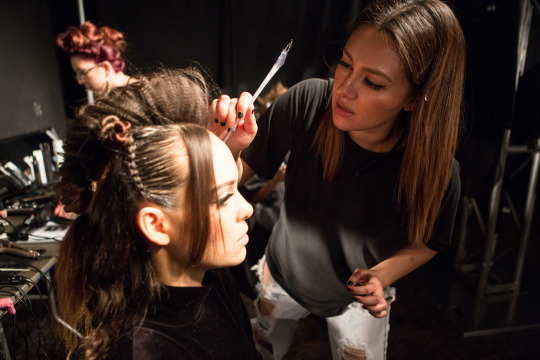 Stylists get to show off their authentic tastes and develop their skills side by side. It’s an opportunity to find your community and stay in touch long after winners are announced. Many past WNA finalists stay connected and even end up working together. For example - Damaris teamed up with John Paul, the affiliated artist winner from last year, on an upcoming project. 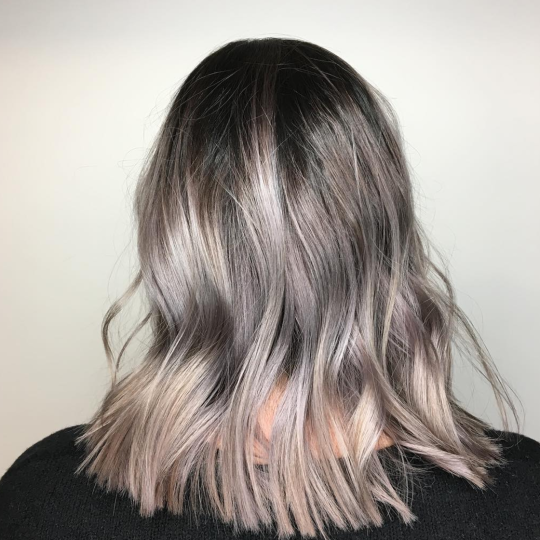 “We did the Sebastian Rockstar Makeover on a lucky young couple!” Needless to say, making the move to apply can truly be the game-changer your career is craving. So, you want to make it on that WNA stage– but how? Start with staying true to yourself. Entering a big competition like WNA can seem intimidating, but it’s worth trying! “Do it! Just do it! You can’t lose anything by entering. As artists, all we want to do is CREATE!” Take it from Damaris—it’s time to make something happen! I couldn’t live without: My cute little poodle Lola! She literally looks like a teddy bear and she gives the best snuggles. My favorite motto is: If you want something you’ve never had, you have to do something you’ve never done. My guilty pleasure is: Donuts and binge-watching movies! My first favorite place in the world is: I am a sucker for the Pacific Northwest! I recently went back to visit Seattle last November with my husband. There’s something about autumn in Seattle that captivates me. The rain, the cold and the beautiful scenery fills my heart with joy. Favorite Wella Product: Sebastian Trilliant spray - I love using it as a cutting lotion! 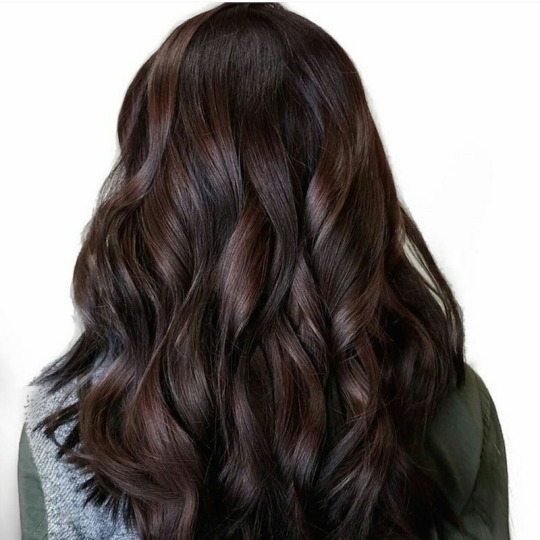 Current favorite trend: Balayage, of course! Especially with fashion tones. 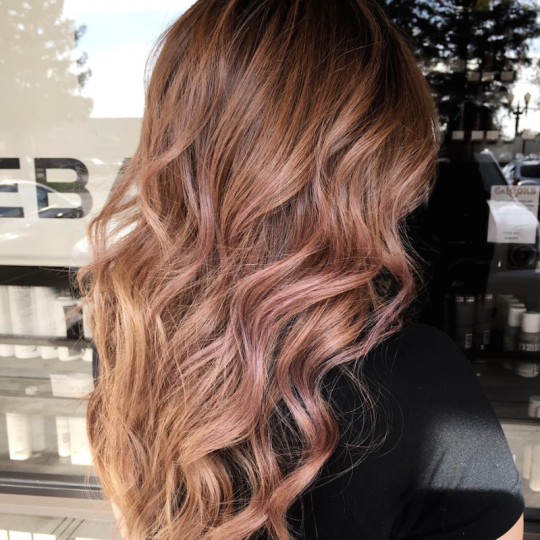 I’m in love with vivid to pastel colored balayage. If I wasn’t a hairstylist, I would be: A photographer for sure! Growing up in LA, he experimented with color and extensions long before he attended the Paul Mitchell school. 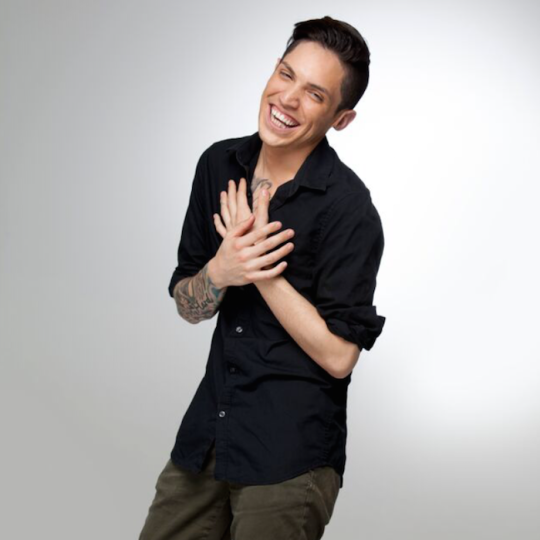 After graduating, he had a head start to his career under the mentorship of Wella Top Artist Brenton Lee and Wella Master Color Expert Angela Le in Pasadena before moving to Portland, Oregon. But if Frankie wasn’t a hairstylist, he’d be in advertising or marketing—and it shows on his IG! “Social media is huge. I get about 80% of my clients from social media.” Double tap to that. He uses Instagram regularly, and he’s all about hashtags! 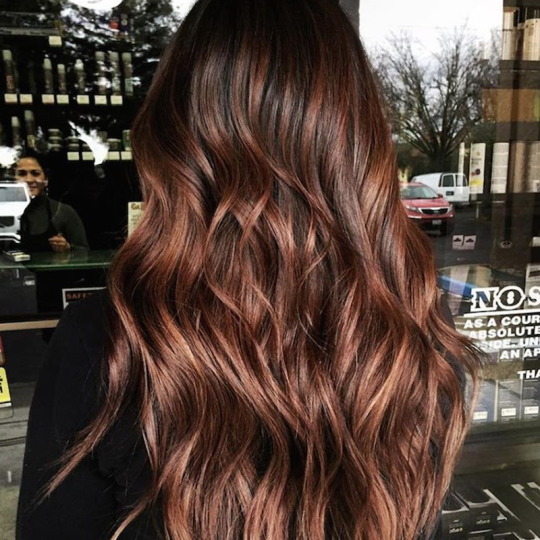 “Hashtags are huge!” Some of Frankie’s favorites include #PDXhair, #Portland, #Balayage, #Babylights, #HairStylist and our personal fave: #WellaLife! Naturally, Frankie loves to know what’s #trending. 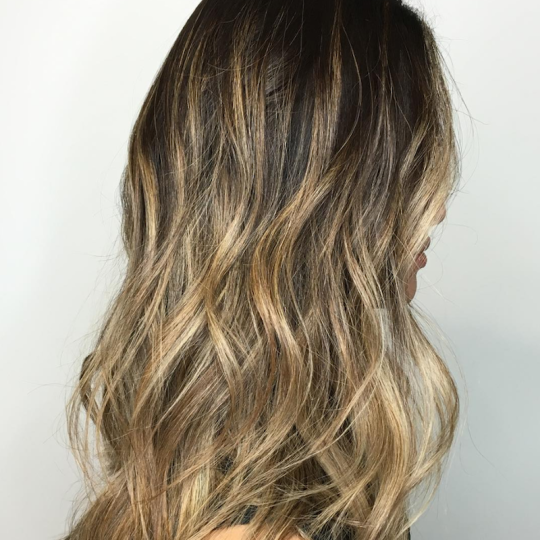 Balayage and babylights are huge in Portland right now – and, like many other stylists, he also loves the “trend” of individuality! That’s where the fun comes in! He has learned to get inspired by trends, then put his own spin on them to bring something new to the conversation. “Things that keep me going are taking time out of my busy schedule to do creative hair projects with clients. Such as full makeovers and big changes!” Transformation Tuesday, anyone?! But his greatest professional achievement would have to be the day he rented his own studio and became his own boss. (Shout out to all you #salontrepreneurs!) Now that he’s an independent stylist, he plans to continue building his brand—and to help other grow and thrive in this wonderful industry! 3 tips for up-and-coming stylists? Work very, very hard. Never turn down a client. Show up to work early and ready to work! I could never live without: My Wella Blondor! Favorite motto: If you don’t like it, change it! Favorite place in the world: On the beach soaking up the sun. 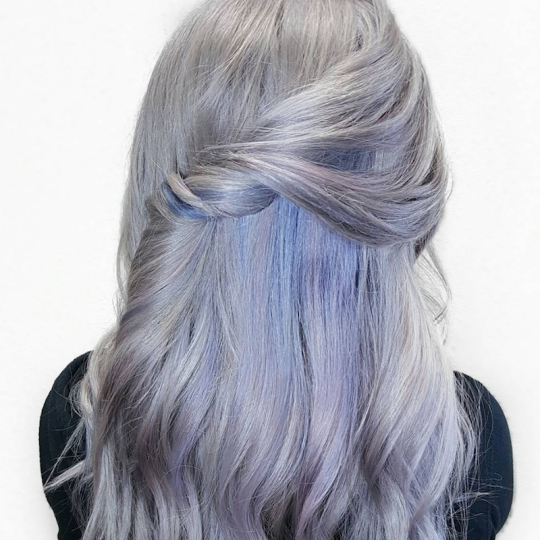 Current favorite trend: The combination of babylights and balayage toned to a silver-grey. You’ve seen her on the ‘gram, creating amazing colors you barely knew were possible. But how did Kelly Naso get to be such a color goddess? Two things: dedication, and good old-fashioned hard work! Once an artist, always an artist: before hair, Kelly studied art and worked in graphic design. But art itself wasn’t enough, and Kelly craved a way to bring her passion to work every day. Her skills and imagination were pushed to new levels in the MCE studio. And Kelly wants to share creative powers for good. Her tips to up-and-coming stylists? 3. Stay current and ahead. My guilty pleasure is: Almond joy, I will eat them all. It’s horrible. My favorite place in the world is: Besides the Wella Studio, it would be Cabo San Lucas, Mexico. Fresh on the Scene - And the Stage! They say age is just a number… and when it comes to NATVA Student winner Megan Hertel – they’re right. This 19-year-old’s got it and has definitely proved she can flaunt it. Megan’s successful early career comes from a killer work ethic – and her inner power. Which is exactly what brought Megan to cosmetology school. 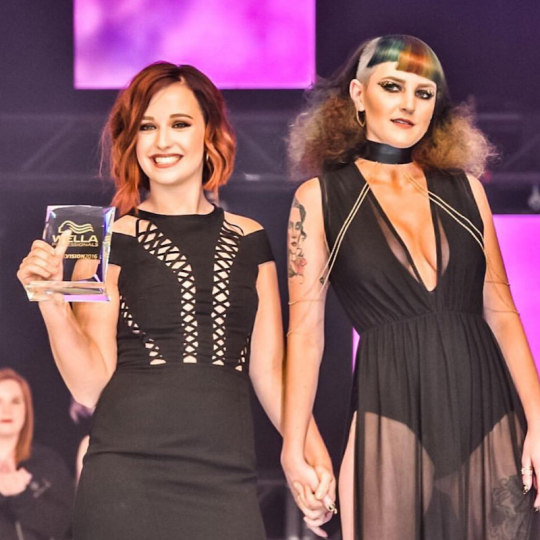 “Hair and beauty have a way of bringing out an inner spirit that I think everyone has.” And Megan’s spirit shined through with her fearless debut at NATVA in July! Her biggest lesson from the experience? “Don’t hold back on your creativity!” Megan certainly held nothing back and took the theme—Molten Ecaille—to the next level, incorporating the look of oxidized metal into her colorful look. Her inspired style melted multi-tonal color and paired it with edgy texture. But to Megan, there’s no place like home. 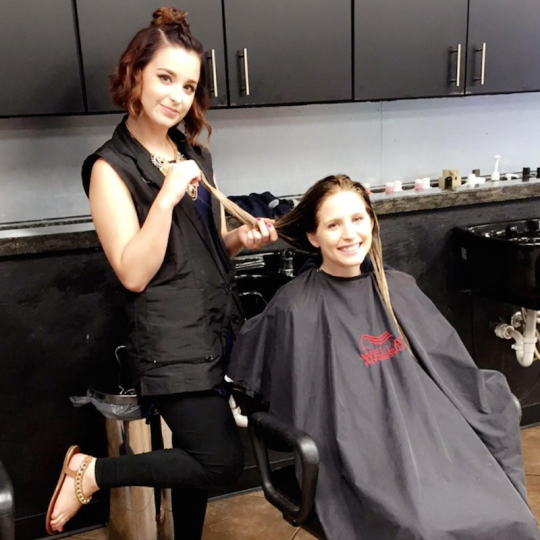 When she isn’t traveling, Megan works at Allure Salon in Kansas, and she’s getting closer to her future goal of becoming a highly-skilled stylist through mentorship, education and career development. With a 2016 that bright – we think Megan’s 2017 is bound to shine. Upcoming trend: Past Forward, because we need to put a little Audrey Hepburn back into our lives! We are passionate about hair. We always have been. 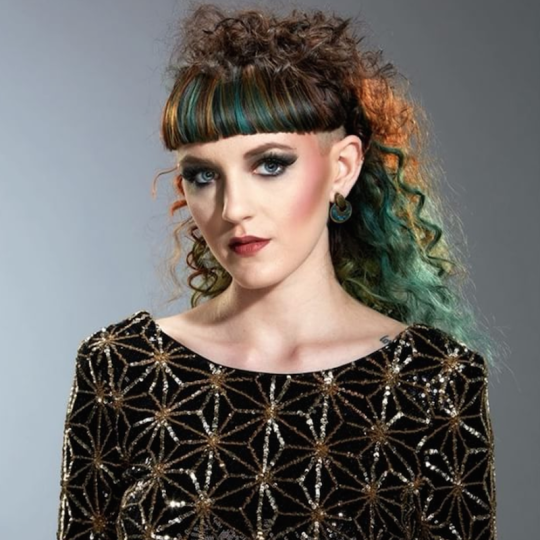 Everything we do is inspired by our love of hairdressing and innovation. Every brave step we take is with passionate professionals like you. And every move we make together helps create moments of hair triumph day after day.